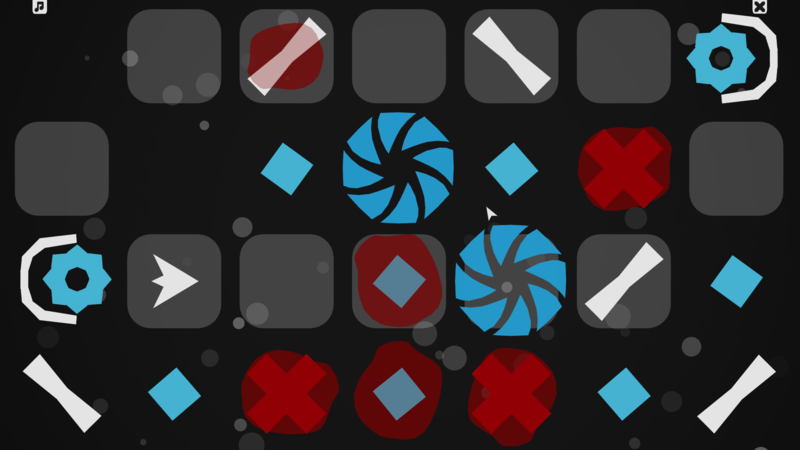 "Hade" is a small puzzler made in an abstract minimalist style. 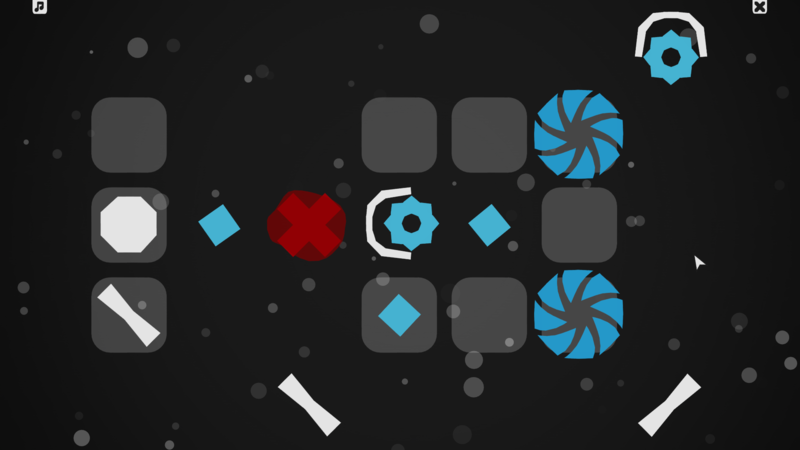 Game mechanics is based on the manipulation of the movement direction by placing objects on the field. 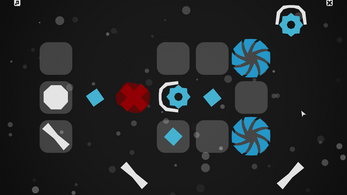 With trials and errors player must find right order of positioning to solve the puzzle. With progression you discover new elements. It brings various new mechanics. Old schemes stopped working and you need to improve your problem-solving skills all the time. Q: So, is it another one flash mobile clicker? A: No. 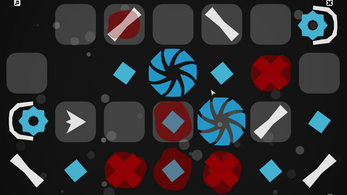 This is PC logic puzzle game with deterministic rules. There is no such thing as timeclicking etc. Only pure brainstorming. Also, I do not think, that genre of logic games belongs to some specific (especially mobile) platform. Q: Is development finished? How much is done already? Q: How many levels are we talking about? And in terms of gameplay hours? A: At the time I have 140 levels, but some of them are not as good as I want. I am aiming for difficult puzzles, which solving require some solid thinking (unlike most levels of demo), but there are different kinds of people.. One tester completed level for like 3 minutes, other took half of hour to solve the same level. So it is hard to give accurate universal answer, but, I guess, in most cases it will take approximately 4 hours to comlpete the game. I can be wrong but I am aiming for this number. Q: So, you have like, what, 2 testers? A: It was not the point of my previous answer (T_T). But if you want to participate, you can start with demo. I'll be glad to read some opinions and remarks. Q: Wait, demo? Where can I find it? A: Here, on top of the page. Q: It was too short. 25 levels is not enought for the game! A: That was just a demo. I am currently trying to pass greenlight. Q: How can I learn more about this game? SOMEHOW I feel interested in it. A: Glad to hear! You can play short demo with first levels. They are relatively easy, but they help to get more detailed representation of the full game. Also, I will be glad to answer questions in comments below. Q: I think I am ready to support you. A: Nice! Then, vote here please. Q: How much will it cost if it actually get greenlit? A: Something about 1-2 dollars, I guess. Definitely not more. Q: I hate you and you game! Q: I hate you and your game! Where can I write about my feelings? Q: I think, there is not enough links on greenlight. Can you add more? Q: I bet noone actually asked you these questions. They are made up! Even this one! A: You are right :-( I am just talking to myself. Though, again, it was not a question! Q: This FAQ is useless! Q: Well, I think it is enough of made up questions. Let's call it a day. Is there a reason why you only offer your game on Steam? I don't use that service, but would really like to play your Hade. So why not offer it here?